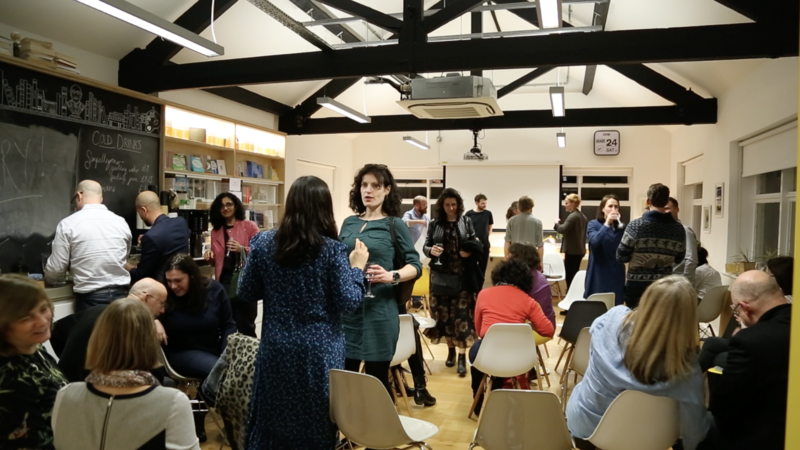 Speed Dating Psychotherapists: Debasing a profession or increasing access? People will say it’s uncouth. Others will say it’s simply gauche or that it degrades a sacred and respected profession. In a world where deep and complex relating between individuals is under threat on all sides, from dating apps and social media to websites that aid and abet cheating, surely we want to prevent psychotherapy from being subjected to forces that would undermine its purpose. After all, the practice of psychotherapy is aimed to create ample space for personal exploration at depth – not to provide quick fix. Since the early days of psychoanalysis, the profession of psychotherapy has struggled to keep to its founding principles (humanity, insight, and meaning) while at the same time keeping with the times. Many of the things that we take as normal practice today were scandalous when they were innovations, including group-work, counselling children, and working therapeutically with people experiencing psychosis. Psychoanalysis itself was a scandal that forever changed our conception of mental distress and arguably introduced actually listening to patients to the practice of early psychiatry. Though psychotherapy’s originators like Freud and Jung were men of medicine, they were far more interested in philosophy and human meaning than they were the science of medicine. And though Freud famously said that there would be a day when his findings would be validated by the empirical sciences (some have, some have not) – the application of the scientific method and evidence-based research has nonetheless been resisted strongly by the profession over the years. While much of this resistance has been to the detriment of psychoanalysis and the insight oriented therapies, it is also a representation of their will not to be reduced to mere variables. Psychoanalysis is about how people understand their lives, not just how to cure symptoms. Today the insight-oriented psychotherapies are in the minority and are being replaced by short term therapies that are aimed at eliminating symptoms. There is no doubt a role for this, and many people benefit from quickly resolving some kinds of psychological issue this way. As a culture, however, we seem to have largely turned away from the longer term therapies that not only enable people to tackle more deeply held destructive patterns, but also to better understand themselves and their place in the world, which can lead to overall general fulfilment. There are many bars to seeking psychotherapy. Waiting lists on the NHS are long rarely include longer term therapies. Outside the NHS lies the challenge of expense. Further, psychotherapy is still stigmatised and many may be ashamed to pursue it – especially if it involves asking around. Often forgotten, however, is how hard it is to find a good psychotherapist. Good psychotherapy is about a personal match, and one might need to shop around a little to find that. This search alone can be expensive. It’s not overstating it to say that your relationship with a psychotherapist may be one of the more important relationships in your life. After all, you may see them regularly over several years, and you are likely to bear your heart and soul to them. Yes it’s a professional relationship, but it’s not at all uncommon for there to be real feelings of care on both sides. Research in the field points overwhelmingly to the quality of the therapeutic relationship being among the primary curative factors, whatever methodology a therapist may use. Also high on the list of positive therapeutic outcome are “therapist and client factors” which simply means the kind of person the therapist and client is – match! Speed dating therapists may just be the opportunity to get a sense of whether there’s potential for chemistry in a therapeutic relationship. It may enable a potential client to draw up a shortlist of who they might want to work with, which can be followed up by a proper assessment session to see if they two can make it work (just like a first date). The idea of speed dating, because it’s supposed to be fun, may also do something to reduce the stigma of looking for a therapist. Stillpoint Spaces London offers opportunities for the psychological curious to explore psychology in a number of different ways – from traditional psychotherapy and events, to psychological co-working. On September 15th we are opening our doors to the public for an Open Day where we will be offering Speed Dating Therapists with the clinicians who work here. 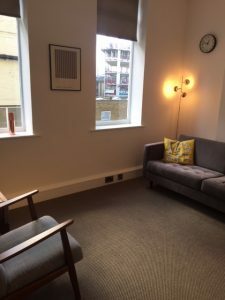 Members of the public can visit across the day to meet up to ten therapists for very short ten minute “drop ins” – these aren’t therapy sessions so much as a chance to meet a therapist, find out how they work, and get a sense of chemistry. There will also be a chance to attend a variety of short talks on psychological subjects and visit the intentionally designed psychological co-working space. We’re not entirely sure if this has happened before, and it’s truly an experiment for both therapists and potential clients who we hope will give it a go. In this sense, yes, it’s a risk – but we think a positive one. One that increases to the opportunity to access an experience like psychotherapy which is like no other, and at the same time, we hope, break down the stigma of seeking therapy in the first place. Stillpoint Spaces Open Day will happen at 23 Clerkenwell Close, London EC1R 0AA from 2 – 6 and is free to the public. Click link for timings.